Look at the above photograph. Try to put a date on it. Clue: Drury Lane. 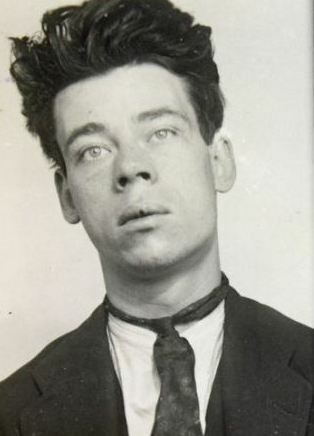 Incredibly, this was taken just 19 years before I was born, in 1934. So, just up the road from this, the huge modern department store Selfridges had already been open for 25 years. Historical juxtapositions are always a shock, and something that TV, books and films usually get wrong. Oscar Wilde could go to work on the tube. The first fountain pen you didn’t have to fill with an eye-dropper was invented in 1912, long after the telephone. The first time the word ‘computer’ was used was in 1613, before Galileo had proved that the Sun did not rotate around the Earth. History is not as simple as we have made it. Rather than being sequential, it overlaps. London has always been endlessly rebuilt, and was always filled with scaffolding. 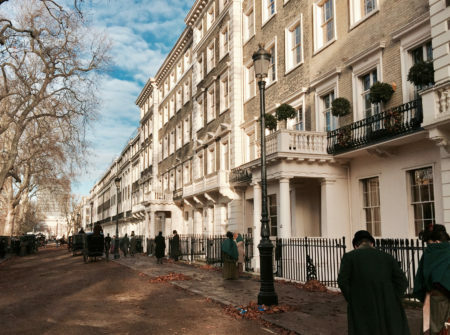 This was one of the most appealing features of Guy Ritchie’s Sherlock Holmes films – the sets were unusually accurate reflections of London and Europe. Often when we read about or see the past, we have a very specific view of it; the Victorian painters were trained at the Royal Academy and belonged to the leisured class, so their paintings don’t reflect life on the streets. I have a lot of books about London photography that provide better source material than walking around the city now, as so much is lost or hidden from view. Most modern are the male faces, which are hard to date because they’re free of makeup and hairstyles. This fellow’s photograph is nearly 100 years old. But while people remain constant, the times around them elide. Sherlock Holmes has come to be epitomised by a handful of tropes, but so has almost every popular character from the past. To get an accurate idea of times gone by, especially if you’re going to write about it, it’s a good idea to see what was happening in the rest of the world during the period you plan to write about. In terms of style, different eras borrow from each other. In the mid-1800s the popular style was for all things medieval, and at the start of the 20th century there was a fashion for Tudor trappings. It’s not until we reach art deco that the break to modernism becomes more apparent and fresh (although there’s an element of the Georgian around that too). The Teddy Boys of the 1950s were of course modernised Edwardians, hence their name. 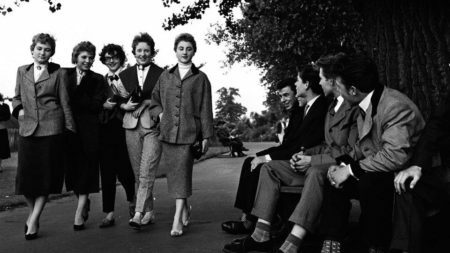 But it’s often forgotten that girls were also dressing in the same style – they tend to be wrongly depicted as greasers on TV and film. And the styles, in architecture, fashion and art, continued to reinvent the past, but when we pick a time to explore we tend to get a very insular, parochial view. The countryside is Poldark land, bucolic and wildly romantic, the city is either squalid or wealthy with no mention of the middle class, a term first used in 1745. New York is, in my head, a city of the 1930s, while many look at London as Victorian. Yet we see fewer and fewer signs of the actual past around us. And of course everything old is new again. I thought my old house in Cathcart Street, Kentish Town, North London, was an untouched Victorian home until an architect pointed out that almost everything about it, inside and out, had been remodelled and modernised in the last century. A formally plain row of houses had been dressed up and brought into the modern world, even though the street was still cobbled. So that when it was used as a film set, it perpetuated a false view of the past, one that we come to accept as the actual past. Other traps we fall into include manners of speech – the Hanoverians and early Victorians were rather plain speaking. It wasn’t until the mid Victorian period that language sprouted baroque and increasingly elaborate sentence structure. So when I watch TV it annoys me that all the effort of getting the past right visually isn’t translated into the language as well, which sounds positively cloth-eared. A popular way around this is to use modern vernacular to make a deliberate point about the past reflecting the present. Perhaps that’s all we can ever do – use the present as a prism for the past. Right now there are some absolutely absurd shows revising history to give more prominent places to strong-minded independent women. This is a perfectly commendable and desirable exercise, but as an accurate historical record it’s often nonsense. Perhaps that’s what we need to do, though. Writers like the late, great Charles Wood (a playwright who also wrote ‘The Charge of the Light Brigade’ in full revisionist mode) produced plays with period language in ‘Jingo’, ‘Dingo’ and ‘Veterans’ that are nothing short of extraordinary, and are never performed because they give us a real sense of the past but are demanding on the ear – and maybe we no longer want that. In fact, I’m not sure we even want much language at all. Our vocabularies are shrinking (although not by as much as academics fear) and we are incorporating more non-English and slang into conversation, but of course it’s natural to shed obsolete words. However, it’s important to recognise that the past is not a simple set of tropes. I was walking through Bloomsbury and only came to realise by accident that they were shooting a film in the street when I heard horses, and looked up to see the hansom cab in the photo. 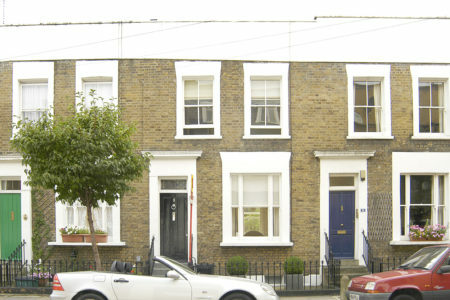 To my untrained eye, there was little about this row of houses to suggest it was anything other than 1885-ish. CGI would remove that building at the end, but I wonder what else is wrong in the shot which would sneak through to become an ‘accurate’ representation of the past? Not if Samuel Johnson was around! Johnson used both the plain-spoken and the elaborate. The plain-spoken to sum up his views, then orotund sententiousness to expand and justify his opinions. I am amazed at how recent the first photo is. Apart from the subject itself, the actual look and feel is more like an early-Victorian calotype. 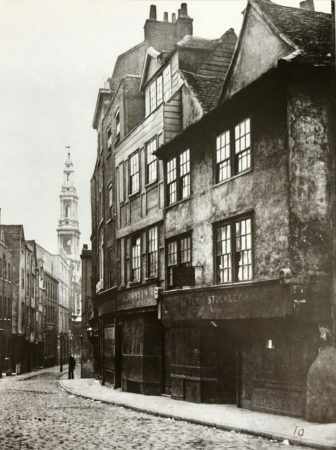 There are still a handful of places in London that make you feel you have stepped into a Dickensian film set, White Horse Street for example, in the bottom left hand corner of Mayfair. It’s almost impossible to get the past right in novels, films or TV. They always impose something of the present onto the past: language, clothes, attitudes. Imagine a 1960s Hammer film (Dracula, Frankenstein, whatever) and the costumes look as if they either came from Carnaby St or Laura Ashley. And I recently saw a TV drama set in Georgian times where somebody said “sorry for your loss” which is the rather crass phrase the police have been trained to use in recent years to bereaved families. Sometimes modern language in historical fiction grates as much as the famous Ben Hur wristwatch. I think we need to accept that fiction in all media is basically just entertainment, something to keep us amused between getting home from work and going to bed. Trying to pick it to pieces for accuracy and insight into human condition will drive you nuts. Again I am reminded of Sebald’s writings. In his explorations of the “ruined certainties of the past” (critics’ phrase), he often includes photos and you don’t know whether the photos are of the person, place and time he’s describing or random photos he chose to insert. You become fascinated with the photo, looking for time clues, and start constructing your own narrative; one can do the same with the photos above. Images stick, facts become vague. I think it’s the period gestalt, the atmosphere, the concerns that resonates for us, not the details. E.g. 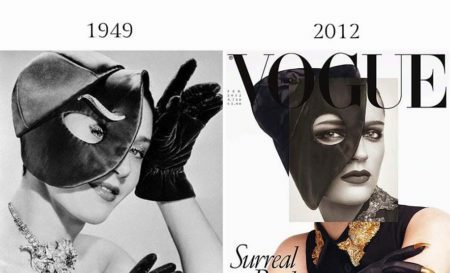 the Vogue covers; both are post war, recovering economy, glam is back. Surreal (once anti-vogue) becomes Vogue. Thanks for pointing out Tindall’s “Fields…”; reading it gives Four Quartets deeper meaning for me. I am pleased to see someone else commenting on the individualist females in historical fiction. If there had been as many independently minded women as fiction gives us women would have had the vote a hundred years earlier and divorce would have been almost a norm. I particularly dislike the girls in juvenile fiction who are there to provide models for modern girls. Hah! They just point up the difficulty girls had in developing personalities and minds of their own. Wireless, a lovely old-fashioned world which has made a comeback into everyday use. There’s a historic district in Portsmouth, New Hampshire (USA) called Strawberry Banke that is kind of interesting in that it doesn’t focus on a single period. Buildings are preserved, but to different periods which gives a sense of how the town changed over time. There are houses restored to their colonial era selves right next door to a general store from the 1950s. One house is even split down the middle with the 17th or 18th century sparseness on one side and the 1940s on the other and a Victory Garden outside the kitchen door. It’s a little jarring at first if you’re expecting more of a snapshot of a particular day in the life of Portsmouth. But there is a somewhat chaotic richness to the experience that makes the whole place feel more alive and multidimensional. I haven’t been back in a while, but this post reminded me of it. Maybe another visit is in order. Once He Was Hip. Why Did We Forget Him?